Corporation of China (AVIC) Thursday. The newly recruit passenger fleet will include 5,120 jumbo jets and 983 regional aircraft, according to the "China Civil Market Outlook for Civil Aircraft (2017-2036)" report. By the end of 2036, the number of passenger aircraft for the country's civil aviation transport will reach 7,079, including 6,065 large-and-medium jumbo jets and 1,014 regional aircraft. 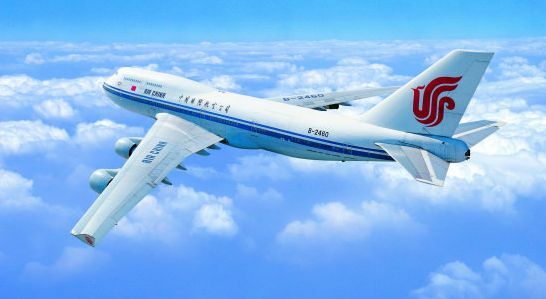 In the same period, China's cargo fleet in the civil aviation market will reach 748.
aircraft, according to the report. Robust growth in international travel will also encourage airlines to purchase more wide-body aircraft. The country's regional aviation market is also expected to see faster growth，thanks to government support in building more airports. In 2016, aviation passenger and cargo traffic volumes reached 488 million people and 6.68 million tonnes respectively, rising 11.9 percent and 6.2 percent year-on-year, respectively. around the world on about 300 air routes. Corporation of China (COMAC), has received 730 orders from 27 customers worldwide. orders from 20clients so far.